HTC has revealed three new Smartphone from their new series HTC OneTM. They have shown up the HTC One X, one of the most powerful device out there, the HTC One S, the thinnest Smartphone ever made by HTC and the HTC One V, the low cost solution of Smartphone. The camera is one of the highlights of HTC One X. It has an f/2.0 lens for better performance in low light. In addition, camera loads quickly (0.7 seconds) and takes pictures in just 0.2 seconds. The camera also has a technology that lets you take pictures and shoot at the same time. In addition of taking good pictures, HTC One X ensures a high quality sound with Beats Audio technology. The device is coated with a white polycarbonate layer for highly impact on resistant. In addition to 32 GB of storage, HTC One X owners will have 25 GB of data available through the DropBox free for two years. HTC One S has the same camera lens as HTC One X. 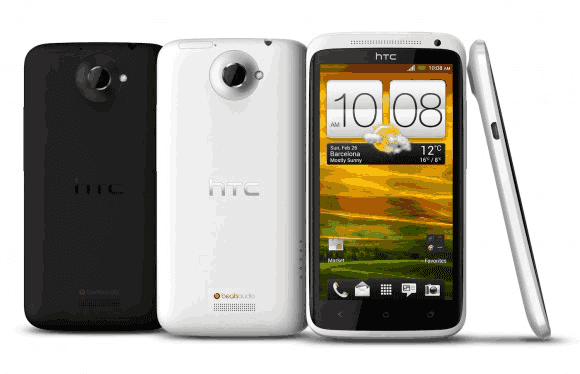 Other features of HTC One S includes the ability to shoot photos and record simultaneously in a way that allows to draw specific frames of video captured by the Smartphone. HTC One V is pretty much low-end comparing with these two but yet it has impressive resource. 4.7 inch screen with Gorilla Glass. Display with HD resolution (1280 x 720) and Super-LCD technology. 8 megapixel camera with flash LED, 5 levels of brightness and shooting in Full HD (1080p). 1.3 megapixel front camera with support for HD resolution (720p). Android 4.0 Ice Cream Sandwich with the latest HTC Sense 4 UI. 1 GB of DDR2 RAM. NFC system with support for Google Wallet. Super AMOLED 4.3 inch screen with QHD resolution (960x540). Dual-core processor clocked at 1.5 GHz. Android 4.0 (Ice Cream Sandwich) with the latest HTC Sense 4 UI. 25 GB of Dropbox space free for 2 years. Single-core processor of 1 GHz clock speed. 4 GB of internal storage. Superfast Capture - HTC One dramatically reduces the time it takes to capture those key moments. In just 0.7 seconds you’re able to take a shot, and with a new superfast 0.2-seconds autofocus, continue to take nearly unlimited continuous shots simply by holding the shutter button. Good photos in adverse conditions - HTC One delivers dramatic enhancements in image capture quality even in adverse conditions such as low light, no light or with bright backlighting. The f/2.0 lens on the HTC One X and HTC One S offers best-in-class performance, capturing 40 percent more light than the f/2.4 lenses available on other high-end phones. HTC One also includes HDR, a market-leading technology, for taking great photos even when there are varying levels of brightness. Video Pic (Concurrent Video/Still Capture) - With Video Pic you capture a photo and shoot video at the same time. Now, while you’re shooting HD video, all you have to do is tap the shutter button and it snaps a high-resolution still photo while the video continues to shoot. You are also able to capture a photo frame from a previously recorded video. Dropbox integrated with HTC Sense - HTC One gives you an easy way to save and share your photos and videos. HTC has integrated Dropbox into HTC Sense 4 enabling HTC One customers to get 25 gigabytes of free Dropbox space for two years. That’s enough to keep more than 10,000 high-quality photos. Dropbox is also integrated throughout HTC Sense 4, so it’s easy to edit, save and share your documents and other kinds of files. Sharing your photos and more - HTC One gives you a new way to share your photos and videos. When you plug in HTC’s wireless Media Link HD* accessory into your TV’s HDMI port, you can easily share your photos, videos, or anything else on your phone with your friends, family or colleagues regardless of the television’s brand as long as it has HDMI. 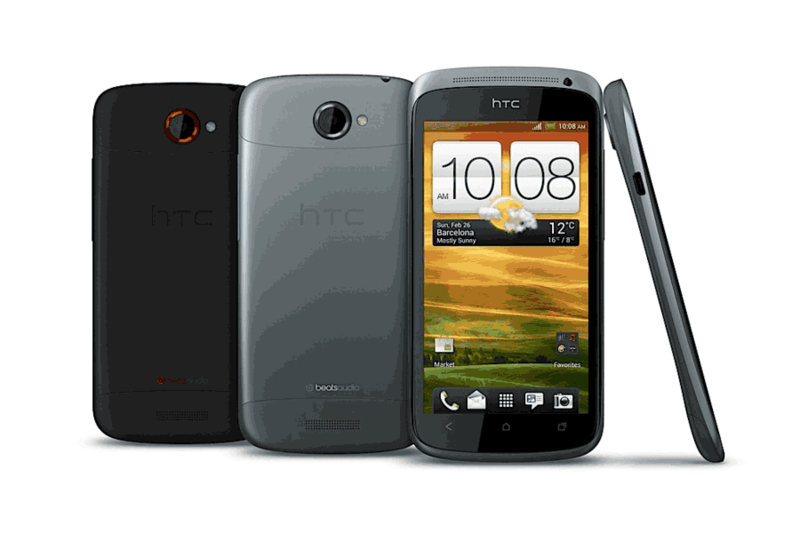 The HTC One X features a beautifully crafted polycarbonate unibody that has the ruggedness of metal but is super lightweight. With seamless construction, the unibody combines a unique high gloss 'piano' finish and a matte back. HTC One X is blazing fast with the new NVIDIA® Tegra 3 Mobile Processor for clear graphics, faster applications and longer battery life. It includes a 1.5GHz Super 4-PLUS-1™ quad-core with an integrated fifth Battery Saver Core and a high-performance 12-Core NVIDIA® GPU. The HTC One X also has an amazing 4.7-inch, 720p HD screen crafted from contoured Corning™ Gorilla Glass. HTC One X will also be available in select 4G LTE markets with a LTE-enabled Qualcomm Snapdragon S4™ processor with up to 1.5GHz dual-core CPU’s.